The leader must have the next autumn-winter? Surely the scarf! We have seen all the colors and shapes on the catwalk last February and this piece promises to be among the best sellers of the upcoming season. The collection autumn-winter 2010/2011 designed by Francesca Bassi for Franco Bassi is a real riot of colors, prints and embroidery, made ​​with hand-printed fabrics in India. Italian and oriental savoir faire tradition combine to create a truly unique product. Two generations united by the Made in Italy. It ‘a little’ this is the story of Franco Bassi, today assisted by his sons Francesca to Caesar, who made ​​unique products and handmade taste her signature style. 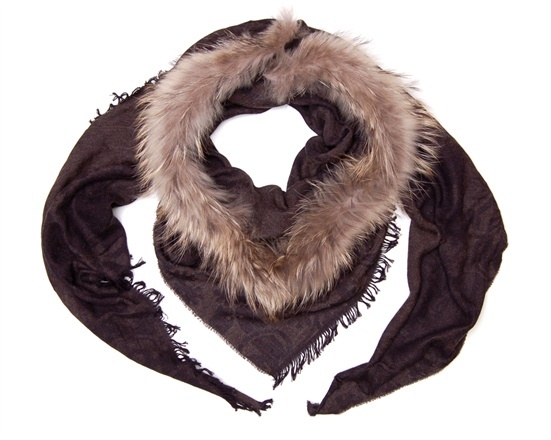 For fall-winter 2010/2011 getzipcodes has designed a collection of scarves , scarves and stoles really interesting. The palette is colored shades of blue, purple, the green in his shades up all’ottanio until cherry and burgundy. There are also natural colors like beige and brown, as well as classic colors such as white, gray and black back great protagonists. Several lines drawn by Francesca Bassi: The Evening Glam Capsule Collection sees stoles protagonists knit fringed mink ponchos or edged in rex, precious fabrics like tulle, velvet glitter, flocked canvases characterized by elegant trimmings; the icons Bon Ton, with garments in cashmere and silk adorned with lace and flounces in pleated silk muslins and read / wool with optical patterns; the Shibori, with stoles in pure cashmere hand-woven in Italy made ​​with the ancient Japanese technique of Shibori, which is based on the pleating of the leaders before the immersion in color, so that once dried and dissolved, stoles take color irregularly and original, thus creating unique and inimitable designs. Passion and tradition made ​​in Italy, but with an eye to the East hence, the collection Diwaii, made ​​in India with artisanal mastery, where reigning sovereign fabulous prints colored by hand ethnic-chic charm.